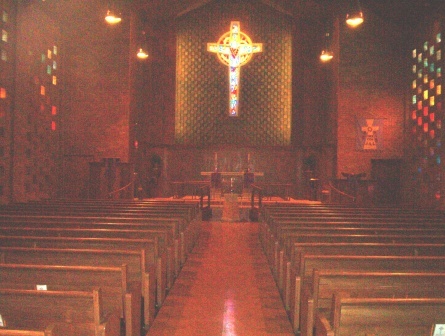 The Nave of the Church has ample seating and a modern sound system. The windows are 12"x 12" stained glass which on an sunny day gives a rainbow effect. 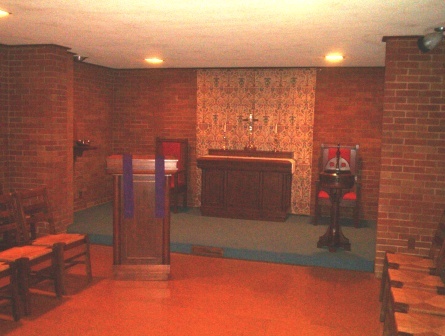 A Chapel is available for small gatherings, private weddings and services. A large choir room with a piano provices ample space for practice and preparation for the service. The newely renovated Fellowship Hall can accomidate meetings, meals, receptions and various activities. 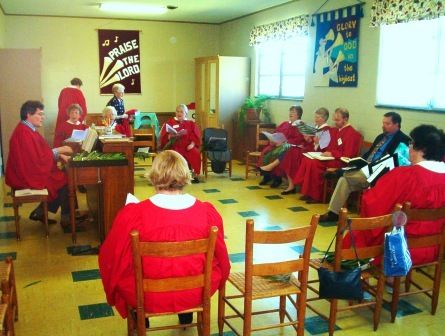 The stage area of the Fellowship can be arranged for Christmas pagents, and various activities. 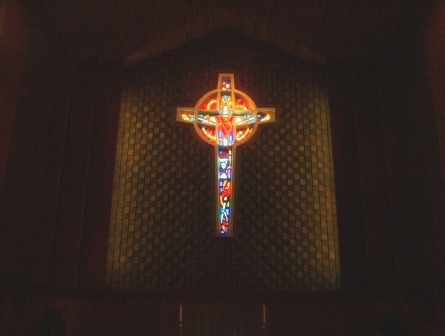 The Cross over the Altar is stained glass and contains many symbols. Cards are available that explain the Cross and point out the symbols. 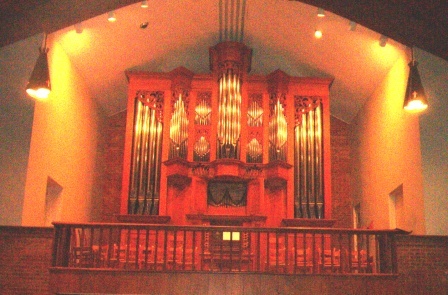 The organ, built by Taylor & Boody Opus 24, is a tracker organ and can be played with out electricity by hand pumping. It has 1420 pipes and can be very soft or dramatcally loud. 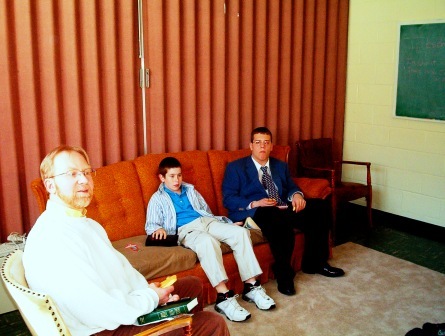 Rooms are available for Sunday Church School which may be tailored as the class desires. New polytop tables and padded stack chairs were purchased for the Fellowship Hall with Memorial funds.